We provide innovative solutions to workflow challenges by automating and simplifying trading processes. Through flexible, client-centric integrations, FX Connect brings pre-trade, execution and post-trade together to offer a seamless end-to-end user experience. Click on each section of the diagram to learn more. 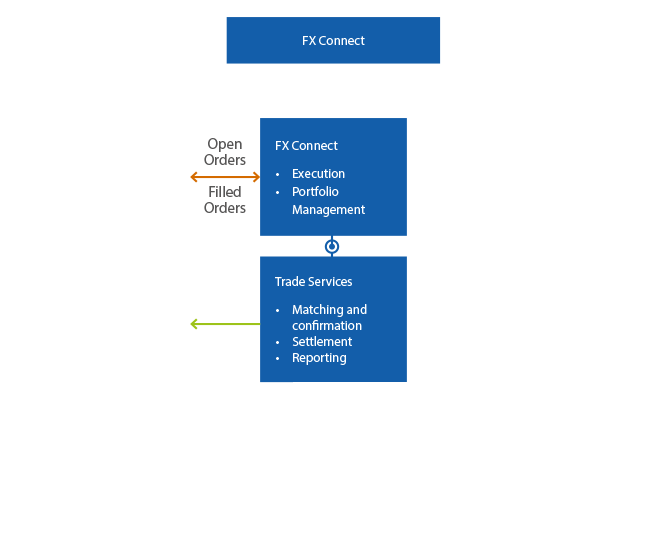 FX Connect seamlessly pulls your FX open orders from your order management system (OMS), Microsoft Excel, proprietary system or allows for manual input of trades. Multiple groups/order origination points can feed the open FX orders into one centralized FX Connect manager tab to allow for netting of trades. Integrate using FIX, Web Services or File transfer. 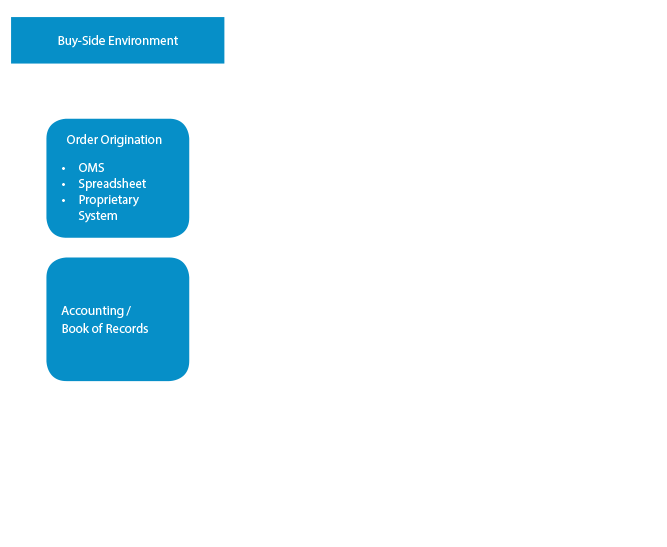 Post-trade reports can be fed back into your accounting/records system for a seamless workflow solution. Separately, clients can also manually stage orders, allocate phone trades, and customize post-trade reporting and messaging. 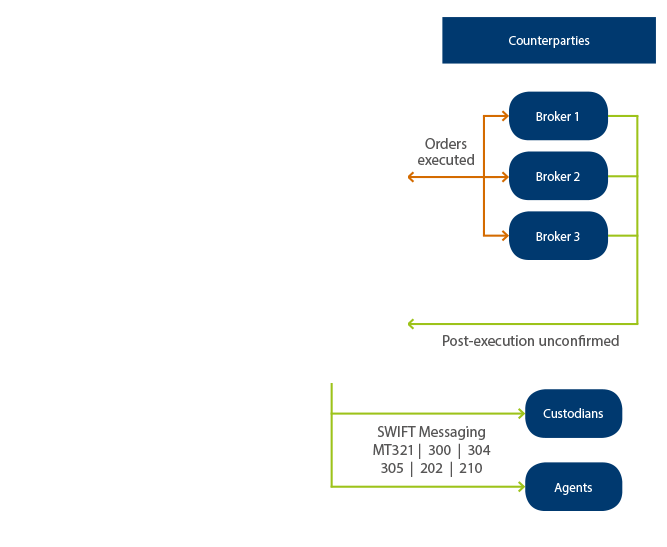 Once trades are executed on FX Connect they can be confirmed and settled through the Trade ServicesTM platform which increases efficiency, reduces risk and allows for an improved workflow experience. More than 65 liquidity providers subscribe to FX Connect, and our technology is used daily on over 250 trading desks. We are a truly global platform with users in more than 30 cities around world, with more than 325 SWIFT custodial designations. Clients can access liquidity in more than 300 currency pairs for spot and up to 70 currency pairs for forward, swap and NDF trading.